"My deepest condolences. I will always remember her as a..."
"I will always treasure the time Chris and I have shared..."
"Chrissie, This past week I lost my cousin/big sister. It..."
"So sorry for your loss.A Great Lady and neighbor." "A wonderful lady, always welcoming. Thoughts & prayers for..."
SOUTH PORTLAND - Christine Darling Ward passed away unexpectedly on Sept. 11, 2018. Christine was born on Jan. 14, 1942 in Portland, Maine, to her parents, Leonard T. and Christine M. Darling. Christine was predeceased by her parents, her beloved husband, Clyde O. Ward and her sister, Nancy Hall. Christine is survived by her children, daughters, Sally Seidl, whom she lived with, and Patricia Davis and son-in-law, Arlen of Cape Elizabeth; sons, Mark Matthews and partner, Fran Prentice of Old Orchard Beach, Richard Matthews and daughter-in-law, Cheryl, of South Portland, Scott Wykes of Marysville, Wash.; and stepchildren, Kevin Ward and Kellie Ward Stansbury. Christine also leaves behind her brother, Leonard T. Darling Jr. and sister-in-law Pamela of South Portland and sisters, Marnie Voter Childress of Windham, Rosemary Herd and Karen Darling of South Portland. She also leaves behind many beloved grandchildren, great-grandchildren, nieces, nephews and cousins. Christine graduated from South Portland High School in 1960. 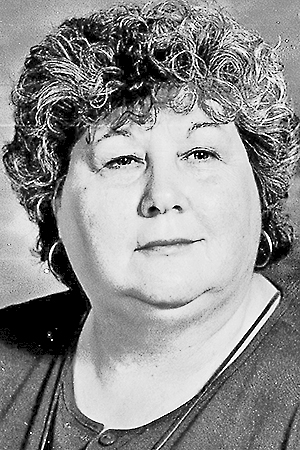 She was a lifelong resident of South Portland. Christine loved her town and was involved in local politics. She ran for city council and was President of the Ferry Village Neighborhood Association. In between raising a family, she had a varied career but most recently worked for Legg Mason and retired from JC Penney after 25 years. Christine was a lifelong member of People's United Methodist Church. She was a Sunday school teacher, Lay Leader, served as the President of the United Methodist Women, participated on numerous committees and organized many events, like the monthly bean suppers and church fairs. Christine was an amazing Soprano and sang in the church variety show, the choir and was many times a church soloist. The church and her church family was an important and integral part of her life. As much as Christine loved her town and her church, she loved and adored her family. She loved to be at the center of family parties, reunions, birthdays and special events. Being surrounded by her family and especially her grandchildren brought her great joy and happiness. Christine was also a die-hard sports fan. Go Pats! Go Sox!